Please note we do not readily carry stocks of the Kitchen Aid range as yet but we would but we would be delighted to order it on special expedited delivery. Please allow 2-3 weeks for delivery of this item. In exceptional circumstances for periods any longer we will contact you immediately and advise if there will be any further delays. 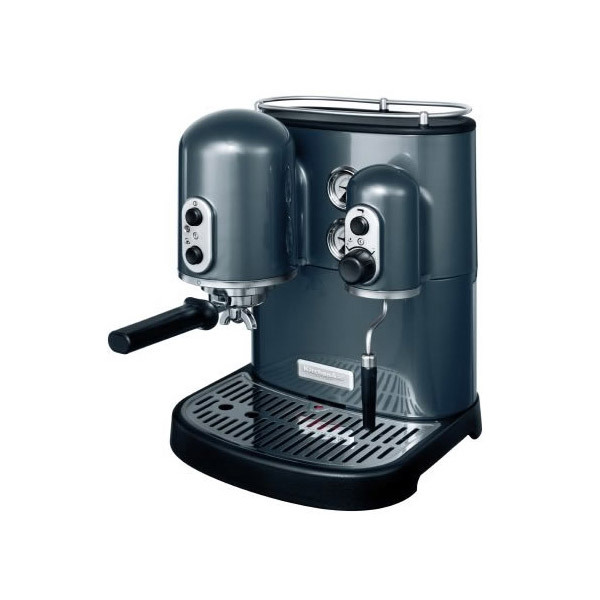 This <h='http://www.shopcookware.ie' class='seo_link'>KitchenAid Artisan Espresso Machinehas externally heated dual boilers it delivers the consistent temperature and pressure necessary for a perfect espresso every time. 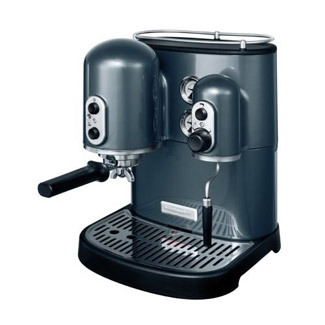 It has the power to simultaneously brew and froth milk for cappuccinos and macchiatos or dispense hot water for Americanos, Long Blacks, chais and hot chocolate. A <h='http://www.shopcookware.ie/kitchen-appliances/155cat.aspx'>KitchenAidis not an appliance. A KitchenAid is a work of art, a masterpiece of form and function. A KitchenAid is designed in a way that can only be considered timeless, hand-built to withstand the rigors of a lifetime of use and outlast the ever changing tides of fashion. Experience the art of cooking. Experience the art of KitchenAid. Features: Two year manufacturer's warranty, Single or double shot filter baskets, Die cast metal construction, Self priming 15-bar water pump, Dual Boilers with external heating elements, Espresso and steam gauges, Two litre sliding and removable water reservoir, Rotating frothing arm with removable nozzle, Removable drip tray with water level indicator, Cup warmer for up to six espresso cups, Adjustable steam volume.